Join the Paul Revere House for their annual traditions of the season Saturday, December 1 and Sunday, December 2 from 9:30 a.m. to 4:15 p.m.
Why did New England colonists consider Thanksgiving “the one day above all others”? Which Bostonians kept Christmas and which did not? What types of gifts were exchanged at New Years? 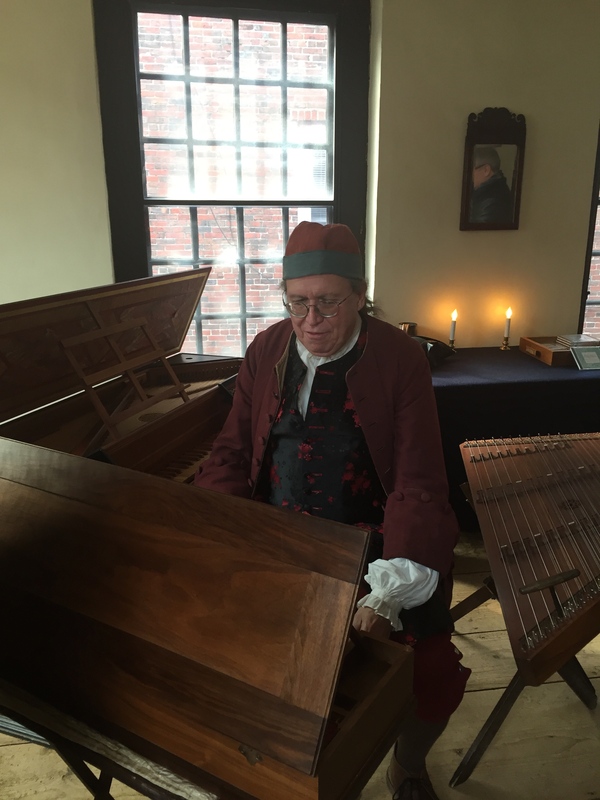 Learn the answers while helping us celebrate the holiday season in the style of colonial Bostonians with 18th century music, culinary delights, and crafts. Festivities will be held on Saturday and Sunday; sample warm, mulled cider and treats baked from period recipes all day. Visit with Rachel Revere, portrayed by History At Play’s Judith Kalaora, from 11 a.m. – 3 p.m. throughout the site. Craftspeople working in traditional methods will demonstrate and sell wares from 12 p.m. – 4 p.m. in our Education and Visitor Center. R.P. Hale will play 18th c. Advent music on the harpsichord and hammered dulcimer from 12 p.m. – 4 p.m. in the Pierce-Hichborn House. From November 1 to April 14 the Revere House is open daily from 9:30 a.m. to 4:15 p.m. except for Mondays in January, February, and March. The museum is closed on Thanksgiving, Christmas, and New Year’s Day. Regular admission is $5.00 for adults, $4.50 for seniors and college students, and $1.00 for children 5-17. Members and North End residents admitted free at all times.